There are currently about eighty companies globally that have earned the APEx designation. A Certified Technology Specialist™ (CTS®) performs general technology solution tasks by creating, operating, and servicing AV solutions as well as conducting AV management activities. A Certified Technology Specialist — Installation (CTS-I) installs and maintains audiovisual systems by following specifications, schematics, codes, and safety protocols; administering installation process logistics; troubleshooting and problem-solving systems; and maintaining tools and equipment. They communicate with clients, designers, other trades, installers, and staff to ensure they provide the best audiovisual solutions for your organization’s needs, on time and within budget. A Certified Technology Specialist — Design (CTS-D) is an AV systems designer who assesses client needs, designs AV systems, prepares AV design documents, and coordinates and collaborates with other professionals so you, as a customer, can be assured they’ve designed an AV system that meets your requirements and standards. Only Crestron certified programmers are invited to participate in the exclusive and specialized Crestron Masters conference held annually. To achieve Gold Status, the programmer must be fully up to date on all of the latest Crestron training and have served on the Masters conference for six consecutive years. AV9000 Standard Quality Management certification means a company not only complies with AV industry standards but has passed a company audit to ensure consistent application of these standards. become more complex and difficult to integrate. Focusing on the quality management of these systems, and of those who design and install them, can benefit the AV industry and all its stakeholders: including clients and users of AV technology, AV designers and installers, equipment manufacturers, related construction and architectural firms, and the environment. Our adherence to AQAV standards ensures your AV systems are of the highest quality, installed right the first time to save you money. ClarkPowell technicians maintain manufacturer certifications from these and other AV component suppliers. These partnerships ensure that our team members have expertise for every kind of solution. AVIXA™ is the Audiovisual and Integrated Experience Association, producer of InfoComm trade shows around the world, co-owner of Integrated Systems Europe, and the international trade association representing the audiovisual industry. 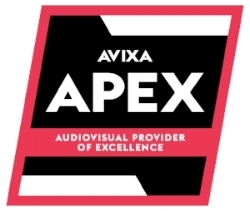 Established in 1939, AVIXA has more than 5,400 members, including manufacturers, systems integrators, dealers and distributors, consultants, programmers, rental and staging companies, technology managers, IT professionals, content producers, and multimedia professionals from more than 80 countries. AVIXA membership gives ClarkPowell professionals access to the leading resources for AV standards, certification, training, marketing intelligence, and thought leadership, so you can be confident your AV systems will deliver the outcomes you want. PSNI is an alliance of elite technology integrators, manufacturers, distributors, and service partners around the world. PSNI not only unites industry leaders; our network also supercharges them by extending their reach, complementing their strengths, and multiplying their resources, all combined with a commitment to the highest industry standards. For organizations seeking AV solutions, PSNI affiliation is the ultimate industry credential. More than that, it’s a promise that you’ll receive the smartest solutions, the smoothest installations, and the best training, service, and support. NSCA (National System Contractors Association) is the leading not-for-profit association representing the commercial electronic systems industry. The National Systems Contractors Association is a powerful advocate of all who work within the low-voltage industry, including systems contractors/integrators, product manufacturers, consultants, sales representatives, architects, specifying engineers and other allied professionals. Our membership means we’ve committed to providing you with highest levels of professionalism, ethical standards, confidentiality, and excellence in all aspects of work, including service and installations.